Now, while I rarely pour myself a drink, I definitely love alcohol in my cakes. I’d probably add liquor to every single cake if left to my own devices. Every microwave mug cake that I’ve made has had a splash or two of rum or wine. Every single one. I’ve been known to bake a boozy cake for a friend’s birthday and then eat half the cake before the pick up. Oops. So basically, boozy cakes as a theme for Bundt Bakers is PERFECT for me. Since I don’t drink much, I rarely explore different cocktails and pretty much stick to the ones that I know - screwdrivers, fuzzy navels and strawberry daiquiris. Two of my friends in undergrad liked screwdrivers and fuzzy navels so I adopted those two as my drinks. Strawberry daiquiris joined the list when I moved to Miami and tried one at Flannigans. I wanted to make a fuzzy navel bundt back when we did stone fruits but thought I’d wait for a booze theme. Now that it’s here, I’ve switched to the screwdriver. Peaches aren’t in season and I wasn’t in the mood for jam. You’ll see from the title that I’m using tangerines instead of oranges. This isn’t because I wanted to add a twist - OK, that is part of the reason. However, the main reason is that oranges (used to?) trigger my migraines. I can get away with drinking some brands of orange juice but I don’t try too often. But I can’t get away with orange zest/rind and I wanted to use some here. It’s been a while since I’ve had a migraine(*knock on wood*) and I really wanted to test it. But I thought I’d leave well enough alone. So tell me, do you like alcohol in your cakes or solely in your glass? I have a friend who does not like alcohol in her cakes. I’m not sure how we’re still friends. 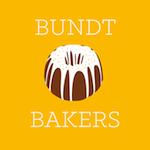 I hope you like boozy cakes though because there’s an amazing list of boozy cakes below. Thanks, Lauren for choosing a great theme! Dark and rainy day = Worse than normal pictures. I'll rebake and retake soon. powdered sugar plus enough tangerine juice and/or vokda to make a pourable icing. In a metal bowl, whisk together the egg and sugar. Place this metal bowl over a pot of lightly simmering water. The water should not touch the bottom of the bowl. Whisk until the mixture is warm, has lightened in colour and is frothy. Remove from heat, whisk on medium speed then add the tangerine juice. Whisk mixture until the bottom of the bowl has completely cooled. Add tangerine zest then fold in the cake flour until just combined. Batter will be lumpy. Bake 10-12 minutes or until a toothpick inserted comes out clean. Whisk together the ingredients for glaze 1 and pour over warm cakes. Cool then remove from pans. If using the second glaze, pour over cooled cakes. I had a really difficult time deciding on a recipe for this month’s Crazy Ingredient’s Challenge. 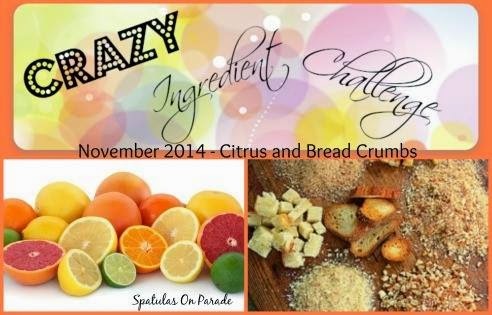 The ingredients this month are not even “crazy” but I decided to make it hard on myself. No savory dishes. No bread pudding. No Brown Bettys. Uhm. So what does that leave? Not much apparently. My initial plan was to make a dessert dumpling - perhaps one filled with chocolate. But then one day that changed to pop tarts. That was partly influenced by current need to turn everything into a pop tart after making some here. I was all set to make the tarts. And then two days ago, I found myself craving muffins. I couldn’t shake the craving. Oh I tried. Were muffins really going to be as good as that buttery tart crust? Was I really that happy with my tart plan? Were muffins just an easy way out? I went back and forth for a while. I almost made both things. Luckily, the busyness of this week forced me to make a decision. Muffins won. Sorry, tarts. Your time will come again soon. These muffins are a work in progress. The flavour is fine. But the batter was really thin. Next time I'll use yogurt or sour cream instead of buttermilk. Because of the thin batter, my breadcrumbs topping simply sank down. I wanted crunch! Ah well - next time. For high top muffins, preheat oven to 425 F. For "regular" muffins, preheat to 350. Combine all the topping ingredients and set aside. Whisk together sugar, egg and oil then stir in tangerine juice and yogurt. In another bowl, combine flour, cinnamon, baking soda, nutmeg cloves and salt. Add to liquid ingredients stirring only until just combined. Pour into greased muffin wells. For "high top" muffins, fill the wells to the top.Sprinkle topping evenly over batter. Bake at 425 F for 6 minutes then lower heat to 350 F. Do not open oven. 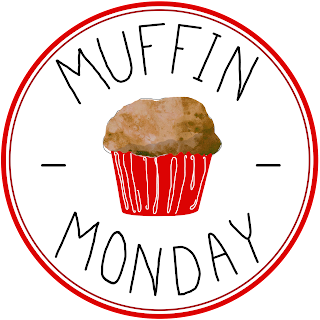 Bake for6-10 minutes or until a toothpick inserted into a muffin comes out clean. 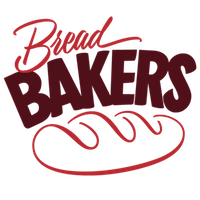 Joining Bread Bakers was probably the best decision that I made this year. It's definitely shaking me out of my bread baking rut. I have bookmarked several bread recipes but seem to just scroll past them when looking for something to bake. Take for example, pani popo. A friend sent me a link to this bread some time ago. I loved the sound of it. Pani Popo is a Samoan bread baked in sweetened coconut milk. (Pani means bun and popo means coconut.) When finished, there is a coconut jelly/jam type mixture at the bottom of the baking pan. It's often served for upside down with extra coconut sauce scooped on top. Sounds great, right? So what was I waiting for? Why didn't I bake it immediately?! I suspect that it was the roll factor. Soft sourdough rolls are difficult for me and at the time, I only used my sourdough starter. Thankfully, pani popo sounded just perfect for this month's Bread Bakers' theme - Thanksgiving/Celebratory Dinner Bread. Let's celebrate with some delicious rolls! I added some fresh pumpkin to make it more seasonal. Oh and some spices. Let's be honest, depending on the variety of pumpkin that you use, pumpkin by itself can be pretty bland. The flavour can definitely get lost in a bread dough. The spices liven things up. Feel free to use even more than I did. Now as I said, I used fresh pumpkin. Fresh pumpkin has a much higher water content than the stuff in a can. It was also a different variety. If you use canned pumpkin, you will need to add milk to get the dough to the right consistency - soft and tacky. This may be my new favourite bread. It's unbelievably soft and fluffy. The coconut sauce is amazing - I actually wanted more of it. I will definitely use more coconut milk next time. And there will definitely be a few more times. I can't wait to try the original plus other additions. Sweet potato, perhaps? My mother visits me in a week and I still haven't decided what kind of bread I am making for her. Sweet potato pani popo could be it. 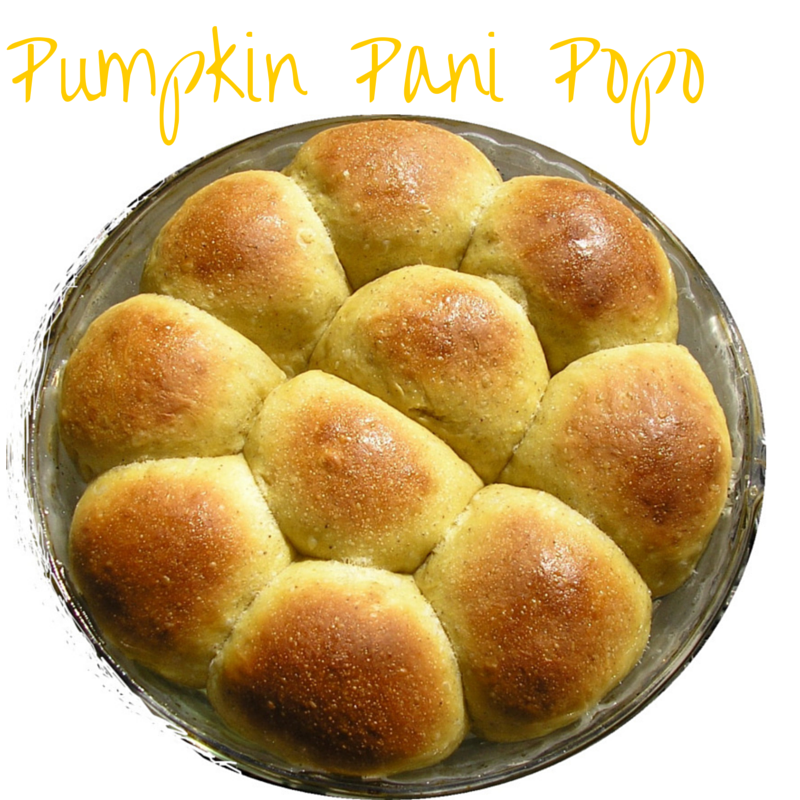 My pani popo is just one of the many rolls that would be great at your Thanksgiving dinner table. Be sure to scroll down to see the list. Thanks for hosting, Holly! Combine all the dough ingredients, except milk, in the bowl of a stand mixer. Knead on low speed for 7 – 10 minutes. Dough should be soft and tacky but not sticky. It will clear the sides of the bowl but still stick to the bottom of the bowl. If necessary, add milk by the tablespoon. Place the dough in a greased bowl and cover and allow to rest at room temperature until doubled. This could take 1- 2 hours depending on the room temperature. After dough has risen, divide the dough into 10 equal pieces. My pieces were approximately 57 grams each. Roll each piece into a tight ball and place in a greased round 9.5” baking pan. Cover loosely with plastic wrap and allow to rise until almost doubled. This may take as little as 30 minutes. While dough is rising, blend the coconut milk with the quarter cup of sugar and preheat the oven to 350 F.
When dough is ready, use a tablespoon to pour coconut milk over each individual roll. Bake for 18 – 25 minutes or until the rolls have reached 190 F.
I used fresh pumpkin which has a higher water content than canned pumpkin. As water content of pumpkin may vary, it's best to wait and add milk only if the dough seems dry. If this is your first time joining us, the Foodie Extravaganza is a monthly party hosted by bloggers who love food! Each month we incorporate one main ingredient into recipes to share with you and this month that ingredient is a classic family favorite...PEANUT BUTTER! Which means you can see 18 more delicious and unique peanut butter recipes at the end of this post. When peanut butter was chosen for this month's Foodie Extravaganza, I immediately knew what I would make. A couple months ago, I made a peanut butter pie with an oatmeal crust and it was amazing. I ate it for breakfast, with lunch and dinner and as a snack. I meant to write a post about it but just never got around to it. Here was my chance. I particularly loved the oatmeal crust. I have always had difficulties with traditional pie crusts and this oat crust was simple with an extra boost of whole grains and fibre. But as today drew closer, I changed my mind. I didn't want an entire pie anymore. That would probably be dangerous. I ate that last one in..er.. perhaps I shouldn't say how few days it took. So what to make? I asked a couple friends and one suggested a tart. She was thinking in the style of Jamaican plantain tarts which are puff pastry pockets filled with plantain cooked in sugar and spices. I was still hesitant about laminating dough when making pop tarts popped (pun so unintentional) in my head. Time to face the pie crust demon. This was actually my most successful pie crust attempt. It just worked. I don't know if the pie crust gods were just on my side. Or if it was the fact that South Florida was experiencing record low temps. (It was in the 50's on Sunday morning!) Maybe I just had more confidence and patience. Who knows. I just know that these pop tarts were good. Very, very, good. 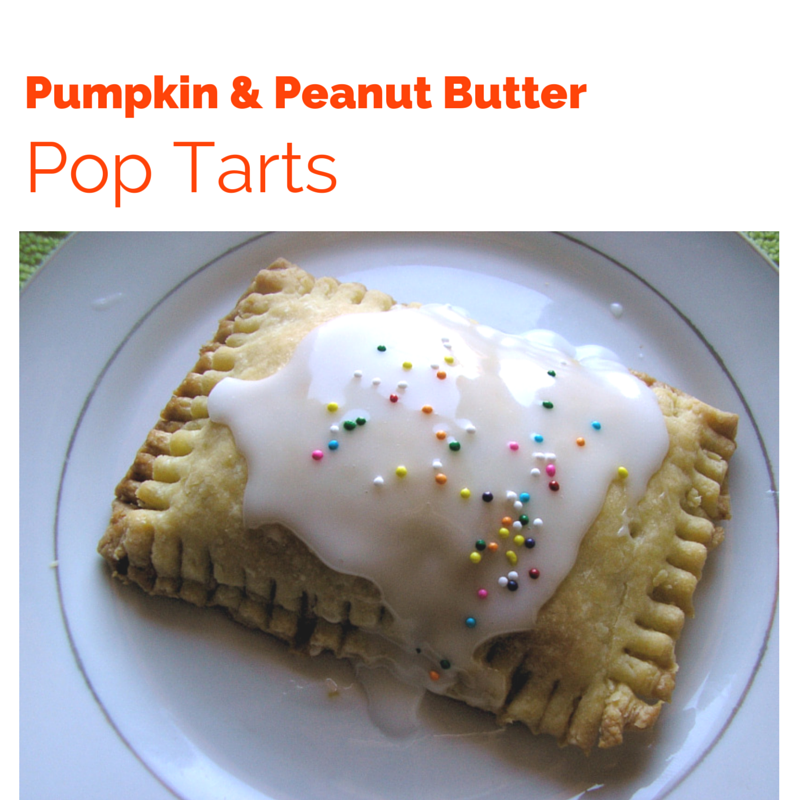 I want to "pop tart" everything. 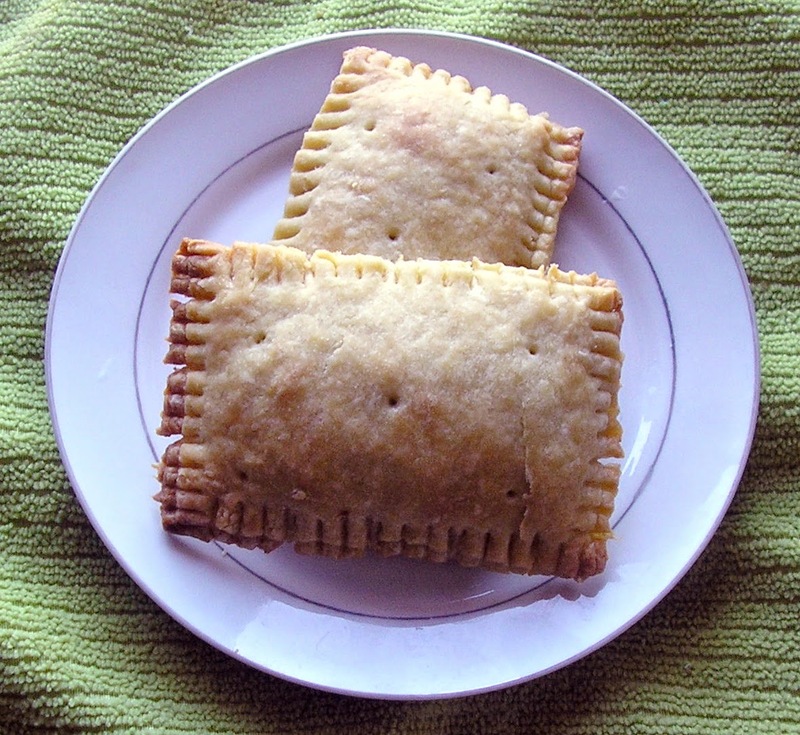 Don't be surprised if pop tarts show up again for the next few posts. The pumpkin and peanut butter combination is different. The peanut butter slightly overwhelms pumpkin. Maybe next time I won't use equal amounts so it will be pumpkin with a nutty undertone. I loved having that hint when I made carrot soup with peanut butter. I didn't use a lot of sugar. Feel free to increase or use a sweetener of your choice. Maple syrup should be good. Play around with the spices too. In a bowl, whisk together flour, sugar and salt. Toss in cold butter cubes then place the mixture in the freezer for ten minutes. Empty the contents of the bowl onto a baking mat. Using the heel of your hand or a rolling pin, flatten the cubes of butter into the flour. Repeat until all the flour seems to be buttered. Make a well in the center of the flour-butter mixture and add just enough milk to get the dough to start clumping together. It should not be wet. It may even seem dry. Press everything together, flatten into a rough rectangular shape, wrap in plastic wrap and refrigerate for at least an hour. Blend together all the filling ingredients. On a lightly floured surface, roll out the chilled dough to a 8" x 12" rectangle. Cut into 8 4" x 3" rectangles. Place a tablespoon of filling in the center of 4 of the rectangles leaving a half inch border around the edges.. Poke vent holes in the remaining rectangles. Top the filled rectangles with a vented-top. Use a fork to seal the edges. Place the tarts in the fridge while the oven preheats to 350 F.
When the oven is heated, bake the tarts on a parchment lined baking sheet for 20-25 minutes or until lightly browned. When cooled, mix the powdered sugar with just enough milk to make a thick frosting. Spread on tarts. Don't miss the rest of these delicious peanut butter recipes!